To learn about the basics of solar and how it works, check out our detailed FAQ. Why should your organization go solar? Save money Installing solar panels can significantly reduce your organization’s electricity bill. By installing solar, you can offset your utility bills with the solar electricity you produce. In many places, the cost of solar electricity is the same or lower than utility electricity, translating into big savings over the lifetime of your system. Shield yourself from rising electricity costs By going solar, you will reduce the amount of electricity you purchase from your utility company. This insulates you from rising energy prices and lets you better predict your future energy costs. Show leadership By going solar, your organization shows a commitment to distributed, renewable energy and to becoming more energy independent. Build community Going solar is a way to bring together donors, community members, customers, and supporters affiliated with your organization. People care about solar. Invite them to track the progress of your installation and celebrate with you once it’s installed. Become resilient When paired with energy storage, solar energy can power your building even in times when the grid is down. 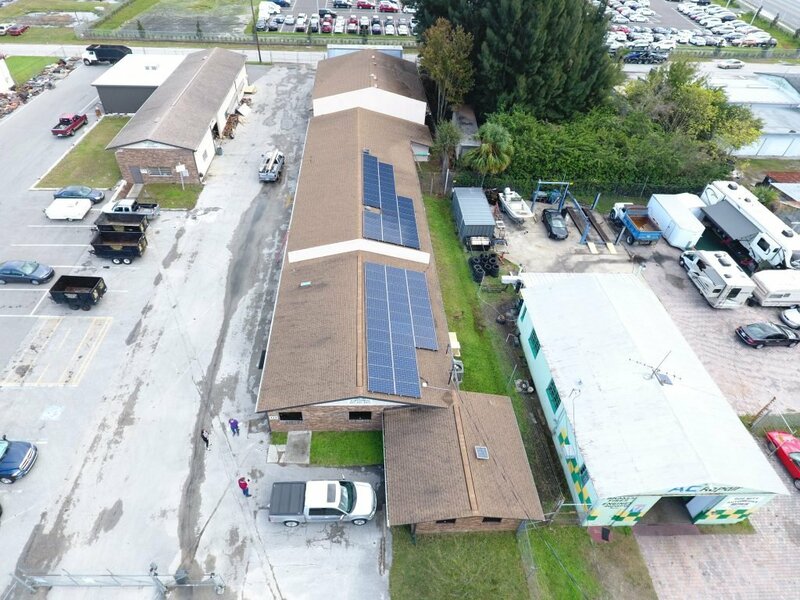 By pursuing solar plus storage systems, organizations can provide critical power to their people during emergencies and natural disasters. Form a core group to lead the project. You’ll need a core group dedicated to making this project happen. For a large organization it can be hard to navigate bureaucracy and keep the project on track. Get key stakeholders involved throughout the process to ensure you cross the finish line. Our FAQ covers everything you could want to know about solar, from technology to financing to solar installation procedures. Gather key information about your facility beforehand. Check if your organization’s roof and/or grounds are a good fit for solar. This involves making sure your roof isn’t shaded, prohibitively old, or structurally unable to support panels. If you have enough land, you may also want to consider a ground-mounted system. Look at one year of your organization’s electric bills to determine how much power your facility uses annually. Learn how to read your electricity bill. Use PV Watts to generate an estimate of how much solar can fit on your roof. PV Watts will estimate how much power will be produced by that system given your geographic location. You can compare the solar power production estimate with your annual electricity consumption to get a sense of how much solar can offset your electricity needs. Find a project model that works for your organization. Different organizations have distinct needs and conditions when considering solar. Luckily, many different models for going solar exist. Check out some of the different models below, broken out by organization type. For smaller projects, it’s easiest to call individual solar companies and ask for a custom proposal. For larger projects, you may need to issue a Request For Qualifications (RFQ) or a Request For Proposals (RFP) to solicit more detailed bids. See an example solar co-op RFP template and response template as a reference. Compile bids and relevant information. Once you’ve received proposals from at least three companies, compile the bids and background information on each of the solar companies (like references, license numbers, and company history) to present to key stakeholders. Review project bids and select a company. Check out our tips for reviewing bids. Get approval for the project. Present the results of your feasibility assessments to key decision makers to get approval for the project. You’ll want to have all information handy, including estimated project cost, company details, and project timeframe. The company that you chose to work with should manage all installation elements on your behalf, from equipment procurement to panel installation to permitting and utility interconnection. 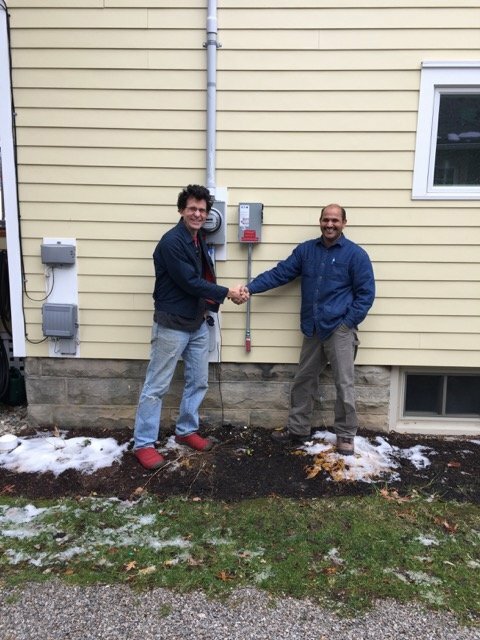 Lorain County Co-op participant has system completed. Reporters are always looking for an awesome community story. As you complete your project, contact the local press and let them know about your successes. The more that people hear about local solar projects, the more likely they are to pursue solar themselves.